Good Guy Gets Top Job. Pete Brownell is the NRA’s new President. Pete was elected as NRA President by the NRA Board of Directors on May 1, 2017, capping off the 146th NRA Annual Meetings and Exhibits in Atlanta. Pete succeeds Allan D. Cors to become the 64th President of the NRA. We applaud Pete Brownell’s election as NRA President. Your Editor has met and talked to Pete. He is a smart, hard-working, sincere, and focused individual who genuinely loves the outdoors and the shooting sports. He is “one of the good guys”, a true leader in our industry, who also cares about the average gun owner, and who has a clear vision for the future. Brownell, whose entire life has been dedicated to the outdoors and shooting traditions, is the CEO of Brownell’s Inc., his family’s namesake business. Pete became the third Brownell to run the business when he assumed day-to-day operations from his father Frank, 72, who remains chairman of the board. 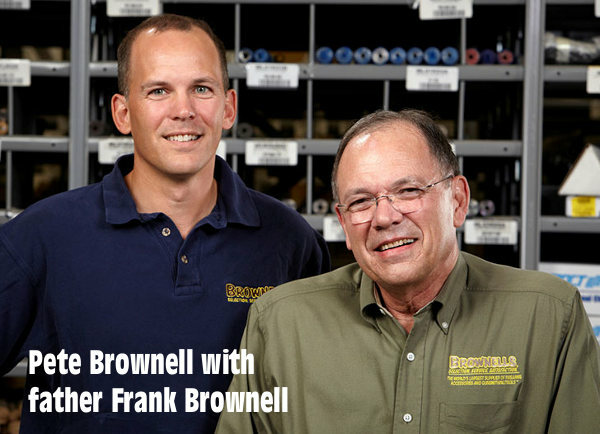 Under their leadership, Brownells grew ten-fold from a “niche-specific supplier” of gunsmithing tools to an international company offering firearms, parts, ammo and accessories to shooters, hunters, gunsmiths and retailers worldwide. Pete Brownell has already given years of service to the NRA. First elected to the NRA Board of Directors in 2010, Pete has served as chairman of the Membership Committee. Pete “rose in the ranks”, being elected as the NRA’s Second Vice President in 2013, and as First Vice President in 2015. At the May 1st NRA Board of Directors meeting, the Board re-elected Wayne LaPierre as NRA Executive Vice President. Upon his re-election, LaPierre then reappointed Josh Powell as Executive Director of NRA General Operations, and Chris W. Cox as Executive Director of the NRA Institute for Legislative Action. Story based on report by Jason Brown in NRABlog.com. 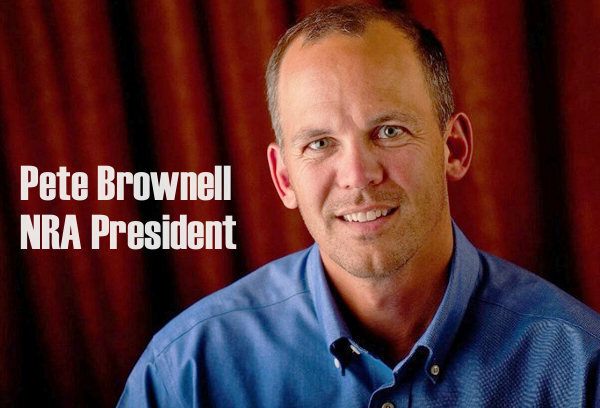 Pete Brownell Named President of Brownells, Inc.
Share the post "Pete Brownell Chosen as 64th NRA President"
And yet Brownell’s and others can’t ship many products to Canadaian individuals directly. We can still get most products through local distributors and retailers but why not directly? Editor: Many different USA and Canadian laws are involved. The U.S. State Department maintains a complex series of export controls — even on some simple items. Likewise the Canadian Government restricts cross-border shipment of many products.